Proton pump inhibitor (PPI) alternatives can include other medicines like H2 blockers or natural remedies like lifestyle changes. Alternatives to PPIs may help treat acid reflux and related conditions. But they may not help everyone. People should ask their doctors if PPIs are the best option for their condition or whether PPI alternatives will work for them. Proton pump inhibitors (PPIs) are powerful heartburn drugs. They treat gastroesophageal reflux disease (GERD) and stomach ulcers. Over-the-counter (OTC) versions treat frequent heartburn. But studies and PPI lawsuits link long-term PPI use with serious side effects. Concerns over proton pump inhibitor side effects may lead patients to seek alternatives to PPIs. There are three types of medicines that treat symptoms like heartburn. These include proton pump inhibitors such as esomeprazole (Nexium), omeprazole (Prilosec), pantoprazole (Protonix) and lansoprazole (Prevacid). The others are antacids such as Maalox, Mylanta and Tums; and H2 (histamine) receptor antagonists such as ranitidine (Zantac), famotidine (Pepcid), and cimetidine (Tagamet). Some people may be able to manage their symptoms with nonmedical or natural treatments. Others may turn to surgical options. Patients on PPIs should speak with their doctor before stopping PPIs. They should also talk to their doctor before switching to a PPI alternative. Alternatives to proton pump inhibitors may not work for some conditions PPIs treat. At the same time, PPIs are among the most overused and misused medicines in America. 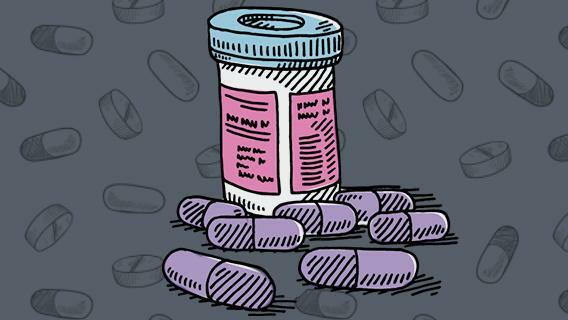 Studies have found many people take proton pump inhibitors for the wrong condition. Proton pump inhibitors may also interact with other drugs a person is already taking. There are several nonmedical or natural alternatives to proton pump inhibitors. 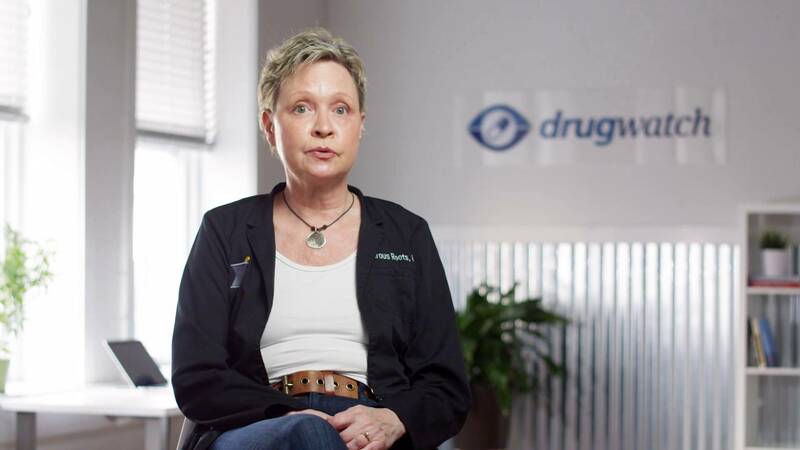 These methods are not FDA-approved treatments for the conditions PPIs treat. These remedies may not work for everyone taking PPIs. They may also aggravate some conditions PPIs treat. Patients should speak with their doctor if symptoms do not improve or get worse. The alternative medicine decreases stomach acid and symptoms of GERD. It improves lower esophageal sphincter (LES) functioning. The hormone reduces pain, lower esophageal sphincter (LES) pressure and acid levels in the stomach. The method reduces abdominal pain, unhealthy bowel patterns, bloating and anxiety. Chamomile, ginger root, marshmallow root and slippery elm may be helpful in treating GERD. But clinical research on definitive benefits is lacking. The household product may provide temporary relief by neutralizing stomach acid. Some small studies have found chewing gum after meals appears to reduce acid levels. A small 2015 study of 79 people found Aloe vera was “safe and well tolerated” in treating GERD patients. Researchers said Aloe vera “may provide a safe and effective treatment” for symptoms. Research is lacking on how effective almonds are at relieving GERD symptoms. Unlike other nuts that are acidic, almonds are generally alkaline. This may help counteract stomach acid. Several lifestyle changes can help people manage the symptoms of acid reflux. These may be as simple as changing clothing styles. But they may also require people to give up favorite foods or lose weight. Can Antacids Work as an Alternative to PPIs? Antacids are over-the-counter medicines that treat occasional heartburn or indigestion. They help neutralize stomach acid. They may relieve some acid reflux symptoms. But they do not treat irritation in the esophagus associated with acid reflux (GERD). Liquid antacids work faster than tablet versions. But all forms of the medication work about the same. Antacid side effects are rare. They can differ based on the medicines’ ingredients. Doctors may not recommend antacids for patients with certain health conditions. These include kidney disease, high blood pressure and heart disease. Histamine blockers, or H2 blockers, were the drug of choice for acid reflux (GERD) prior to the introduction of proton pump inhibitors (PPIs). 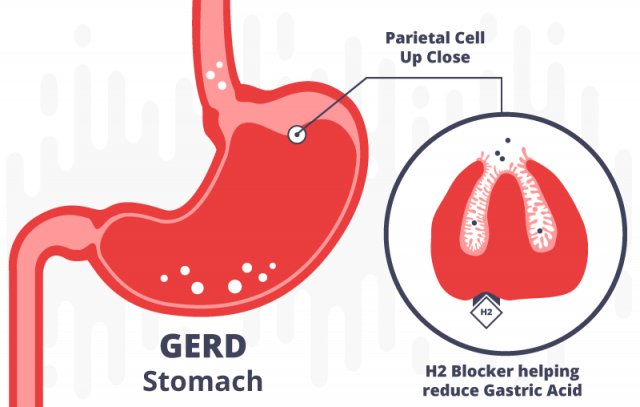 Although PPIs were found to be more effective in treating symptoms and complications associated with GERD, H2 blockers have proven to be just as effective in suppressing gastric acid. H2 blockers are available by prescription or over-the-counter, and include ranitidine, famotidine, cimetidine and nizatidine. PPIs and H2 blockers work in different ways. PPIs block tiny pumps in the stomach that produce acid. H2 blockers block histamine. Histamine is one of the earliest stimuli that tell the stomach to produce acid. H2 blockers work within an hour. PPIs may take up to four days to start working. H2 blockers work to reduce gastric acid. Common H2 blocker side effects include nausea, vomiting or upset stomach. These are also some of the more common proton pump inhibitor side effects. Cytoprotective drugs coat the stomach and small intestine. The protective coating prevents stomach acid from damaging the stomach lining. Sucralfate and misoprostol require a prescription. Pepto-Bismol is available over-the-counter. When taken during pregnancy, misoprostol may cause miscarriage. Sucralfate is safer for pregnant women with GERD. Research has not shown it to cause any adverse effects to the mother or the fetus. What are some alternatives to proton pump inhibitors? Certified health practitioner Rebecca Montrone discusses alternatives to PPIs. PPIs have played a key role in treating ulcers caused by infection. They have largely replaced H2 blockers as an acid-reducer in the treatment. Bacteria called Helicobacter pylori (H. pylori) can irritate the stomach lining. Acid is then able to erode the stomach area around the infection. This dual action weakens the stomach lining, causing an ulcer. Proton pump inhibitors reduce stomach acid. And the antibiotics kill H. pylori bacteria. The combination gives ulcers time to heal. Doctors prescribe a combination of two or more antibiotics to attack the bacteria. Before PPIs, doctors prescribed H2 blockers or other acid reducers. Treatment guidelines now recommend PPIs as the first choice. Surgery is an option if PPIs and other alternatives fail to relieve GERD symptoms. Doctors may recommend one of several types of procedures. A surgeon places a ring of tiny, magnetized titanium beads around the lower esophagus. The ring prevents acid from pushing from the stomach up into the esophagus. A surgeon wraps the top part of the stomach 360 degrees around the lower part of the esophagus. A surgeon wraps the top part of the stomach partway around the lower part of the esophagus. The wrap may range from 180 to 200 degrees depending on which technique the surgeon chooses. A surgeon sutures the stomach to the abdominal wall or the diaphragm. This prevents the stomach from moving into the chest. In some cases, PPI alternatives will not work. People who continue to experience acid-related problems should talk to their doctor. The conditions PPIs treat are serious health conditions. Left untreated, they can cause lasting and even life-threatening damage.